A few years back, when Oh Pepper? was still peaking, I posted this blog in honor of National Grammar Day (today). Maybe you remember this entry, but apparently it hasn't had much effect on the rest of the world because people all around me are still misusing apostrophes like Charlie Sheen bangs seven gram rocks. That's just how they roll. And she was a "2nd Vice President." Obviously I had to fire her. 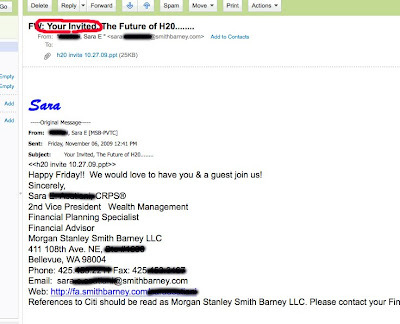 You may say to me, "Why does it matter if your financial advisor misuses an apostrophe once in a while?" I may say to you, "Can I trust someone who can't spell a five-letter word correctly to successfully manage the massive fortune generated over the years by Oh Pepper??" 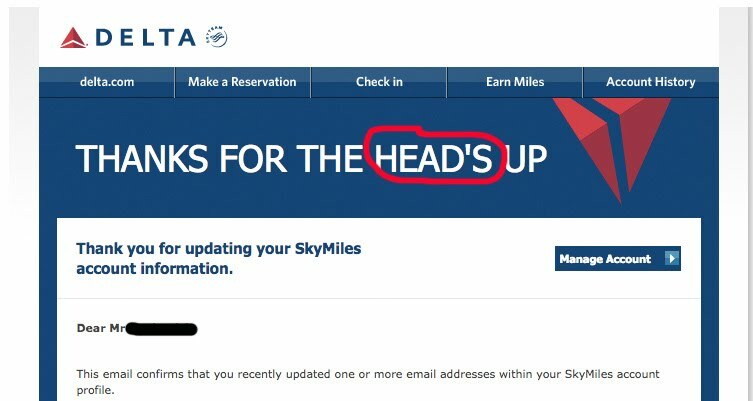 What the heck is a "head's up"? 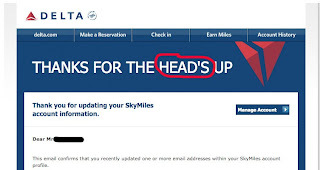 And how can I trust Delta to safely fly a plane when they write sentences that make no sense? I think you understand. This one is funny because Georgia got one apostrophe right but two was just too much for her to keep track of. Georgia's Potatoe's Deluxe what? 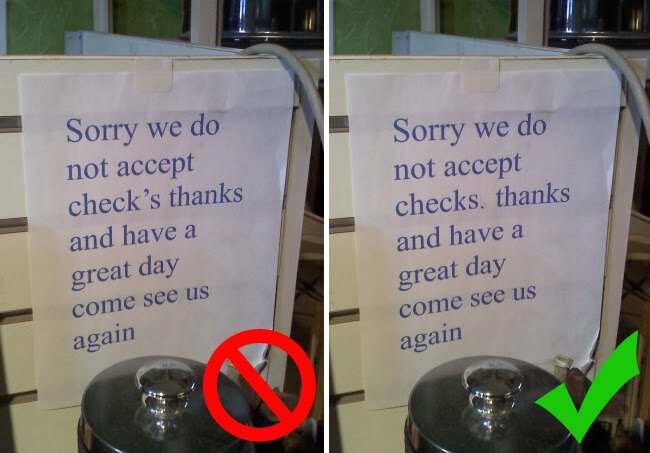 I'm of the opinion that any business that misuses an apostrophe in their official sign can't be trusted. These donuts are probably poison. Take this car, for example. If Ford doesn't pay attention to an apostrophe, how do you know they paid attention to the airbag that is supposed to save your life? Rule number one while protesting: Using bad grammar on your signs makes you look like an idiot. Ironic that this alphabet lesson for children is this incorrect. This sign should actually be broken down into three sentences. I tried to fix it up but it was just too much work. At least the apostrophe is correct now. 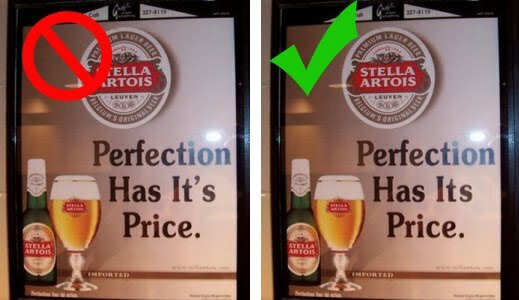 Perfection has it is price? Oh, where to begin? How about with the comma that is being used as an apostrophe, and incorrectly at that. And now the grand finale: A sign company called "Professional Sign's & Lettering." You might not know if your signs will be correct but at least you know they'll be professional. 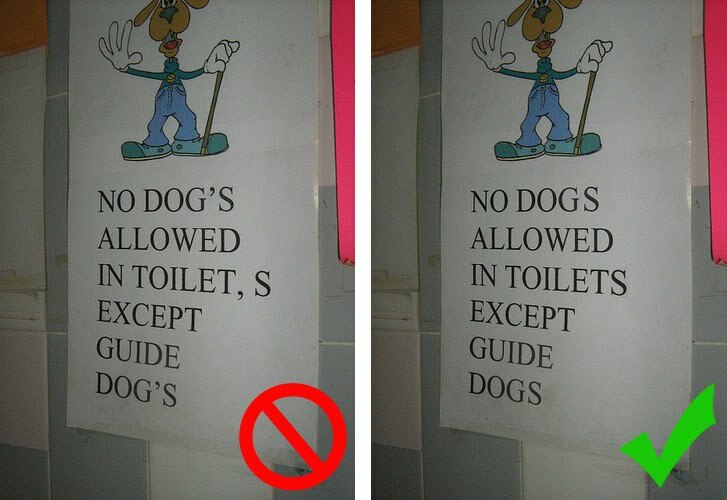 You're apostrophe use—its killing me. Reading all those signs in one sitting makes me CRAZY. where did you find them?? I couldn't eat at that Dunkin Donut's either. I used to be a substitute teacher for 2nd and 3rd grade classes. I'd get teachers leaving me instructions that said - "Your going to have the students take there backpacks and put them in there cubbie's" It was all I could do to not take a red pencil to it. BUT . . . did you really write in this very post "Your invited to take a tour of some erroneous signs that I've taken the liberty to fix:"? I very seldom respond to comments on Oh Pepper? 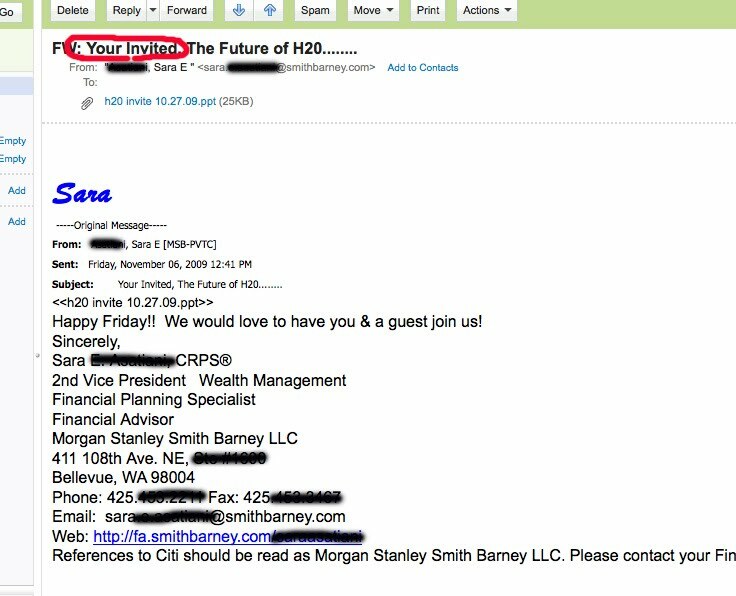 but I just have to say to Cynthia--You know the 'Your invited' was intentional, right? Right? 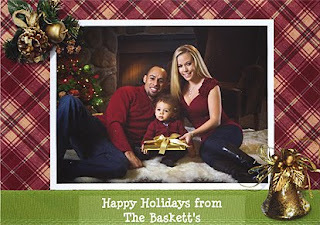 i dont think my friends', the baskett's, are going to be very happy you are making fun of there christmas card! Another hilarious post for the books! But didn't Delta have it right? When you are flying at 36,000 feet, your head's up fer sher. Oh, heavens. 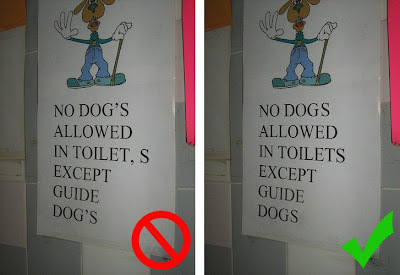 Poor grammar gives me hives, especially incorrect apostrophe use. Have you read "Eats, Shoots and Leaves"? Love that book.